Seattle Mayor Ed Murray said the city will rethink its $149 million plan to build a new police station on Aurora Avenue North. 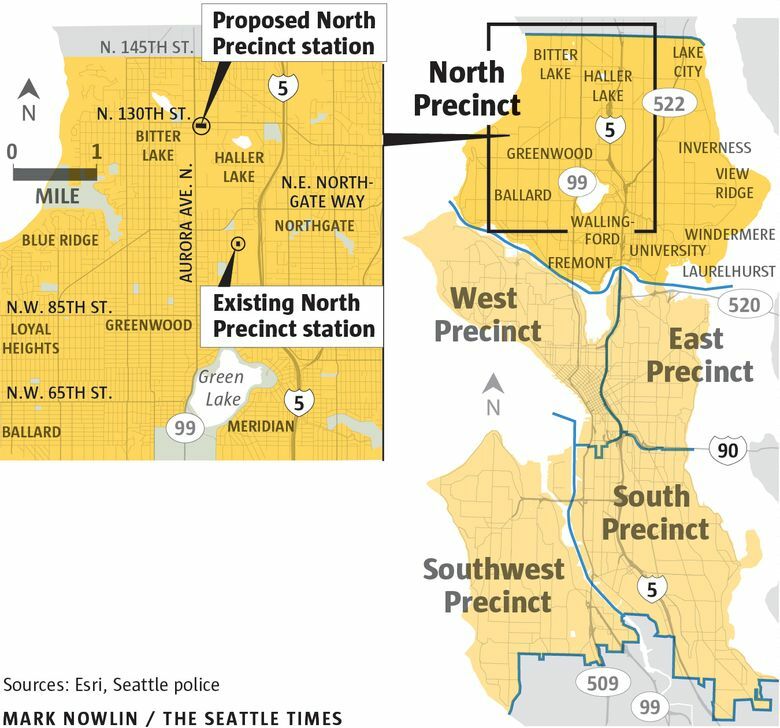 The plan to build a new North Precinct police station in Seattle has been put on hold, after pressure from community members who questioned the project’s $149 million price tag and the city’s priorities with the facility. On Thursday, Seattle Mayor Ed Murray and council members announced they are shelving the project, which would replace the 32-year-old existing station in Northgate, to review its cost and the public’s concerns. A timeline for the review is unclear. For months, Murray has faced mounting criticism over the plan. Critics packed City Council chambers for a meeting this past month, spilling into an additional viewing room, to urge him not to spend so much money on a police department still working to carry out court-ordered reforms related to excessive use of force and racial bias. The new precinct is needed, according to officials, because the existing North Precinct is overcrowded and rundown. In the August meeting, the council passed a resolution directing the city to conduct a racial-equity analysis of the precinct’s design and subject the price tag to more scrutiny. The analysis intended to cover the precinct’s “design and operations” with an eye toward “the elimination of racial and social disparities”and involve officials soliciting the views of various demographic groups. According to Thursday’s release, given the length of time for that review, the city decided to not move ahead with the project at this time. With the additional time, officials will review other aspects of the project, too, such as the number of facilities and cost, according to the release, which outlines the announcement on behalf of Murray and Councilmembers Tim Burgess, Debora Juarez and M. Lorena González. Original funding for the plan included a mix of cash financing and almost $100 million in bonds, the release says. Because the project will now not move forward next year, officials will not seek that money in the 2017 budget, though about $15 million already is set aside for the project, the release says. The city has for many years been crawling ahead with a plan to build a new North Precinct at Aurora Avenue North and North 130th Street to oversee all of the Police Department’s operations north of the Lake Washington Ship Canal. Murray inherited the project from his predecessor, Mike McGinn. Officials had initially budgeted about $89 million for the project. Last year, the council signed off on the updated price tag of $160 million, later reduced to $149 million. “There was an attempt by my predecessor to make a proposal that combines several precincts in one and made the building more expensive. It was being built to the highest environmental standard; it made the building more expensive,” the mayor told KING-TV.